Hydroxyl (OH) is a key radical in interstellar oxygen chemistry due to its capacity to react with most gases in the interstellar medium. OH radicals with extraordinarily high rotational levels of excitation were observed by astronomers in emission from HH 211(one of the youngest known stellar outflows) and the T Tauri star DG Tau. It is very unlikely such rotationally hot OH radicals would be formed from any chemical reactions, but they could originate from short wavelength photolysis of H2O. 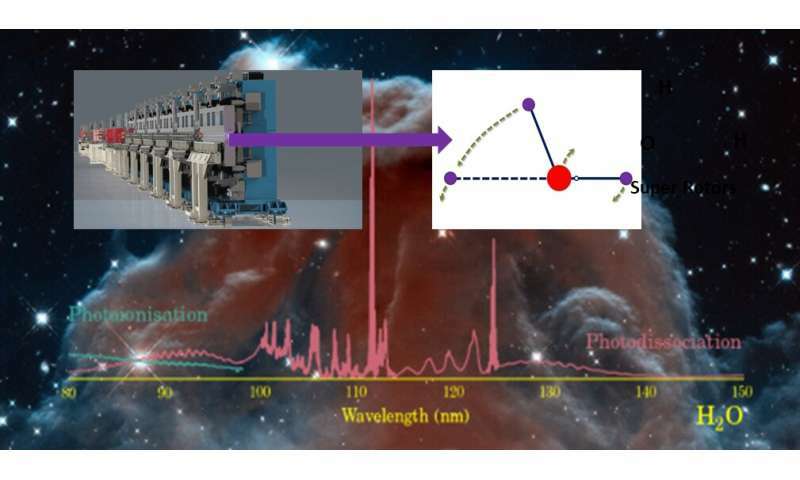 In the present work, the production mechanism of rotationally hot OH radicals was identified by systematic studies of vacuum ultraviolet (VUV) water photochemistry.